“Lucille Ball did a lot for women, and for me personally, and others with RA. She has been a particular inspiration for me since I found out she had rheumatoid arthritis (RA).” And this is why Kirsten Schultz, 27, started a petition asking Aaron Sorkin to include Lucille Ball’s struggles with rheumatoid arthritis in the upcoming biopic, starring Cate Blanchett. The fact that Lucille Ball had RA is a surprise to most people. She first experienced symptoms in her late teens when working in New York as a chorus girl and a model. The symptoms progressed to the point that she had to move back in with her parents, where she spent several years in bed with what was clearly a severe flare. During this time she received injections of an experimental horse serum. The flare subsided after three years, leaving one leg shorter than the other, and Lucille Ball returned to New York to follow her dreams. As Kirsten entered college, there was a different focus on her JA. She found access to medical care and falling in love with her now-husband brought her into advocacy. “My husband is the biggest reason I got involved in health activism and writing my story.” They met in 2007 and she started blogging to explain juvenile arthritis to him, as well as getting medical information for herself. Kirsten has been writing her current blog, Not Standing Still’s Disease, since 2009. They married in August 2014 and now live in Madison, Wisconsin. The petition now has almost 800 signatures. “There’s been a great response,” Kirsten says. “People are shocked that they didn’t know about her RA — it’s a good awareness tool to learn about Lucy, and about RA.” She explains that a few people have been offended, questioning “why I’m trying to tarnish her reputation or hijack the film to make it about an illness.” She encourages people who are hesitant to sign to read the full text of the petition to learn more about the background. Did you know that Lucille Ball had RA? Will you sign the petition? 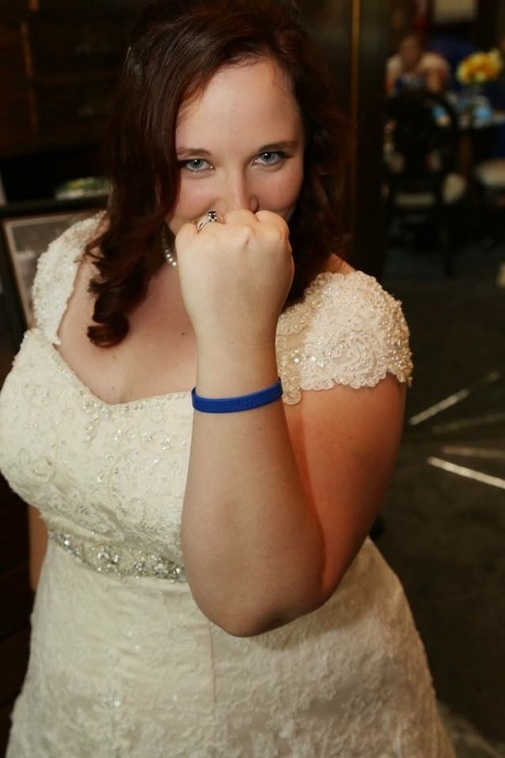 Read more about Kirsten’s advocacy on her blog, Not Standing Still’s Disease. You can also connect with her on Twitter.